Customized Ray Bans!!! Worn only once!! These are the large ones!!! 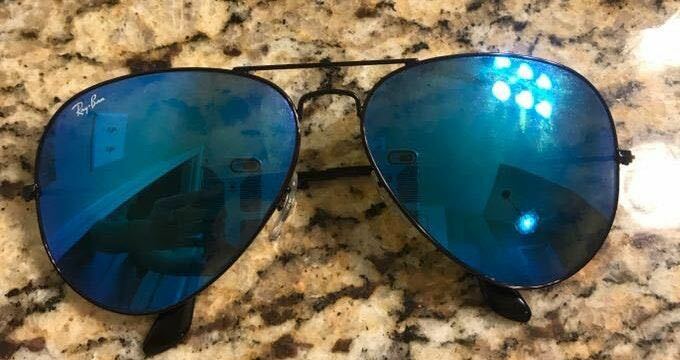 Black rims and blue lens. Comes with a case. Make me offers!